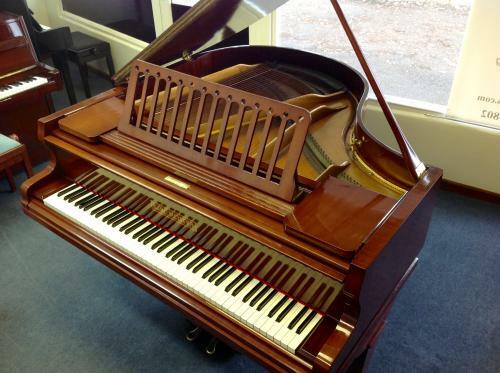 Small baby grand piano approximately 4'11'' in a mahogany finish. The client we purchased this from had the case refinished approximately 20 years ago and is still in very good condition. Ornate music desk.